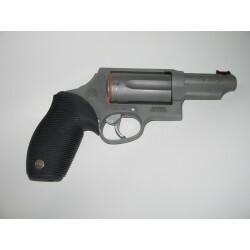 Taurus Judge 3" barrel, 5 shot revolver. Takes 410 shotgun shells and 45LC caliber bullets too! This one is light weight so it is perfect for concealed carry purposes. Put this in your car and never worry about problems again.